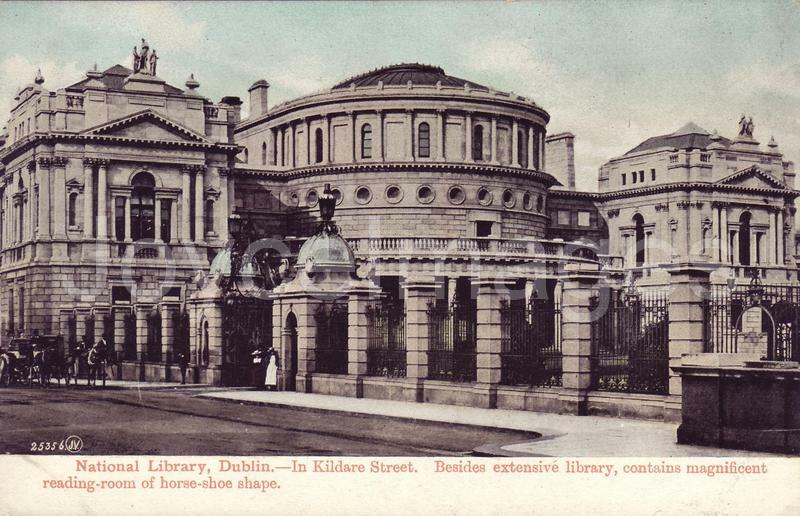 The "Scylla & Charybdis" episode takes place in the The National Library of Ireland, on Kildare Street. The Library was a favorite hangout of Joyce and his friends. This PC mentions: "Besides extensive library, contains magnificent reading-room of horseshoe shape." A tourist pamphlet from 1900 states: "Open daily 10am to 10pm. To this Library the public are allowed the fullest access."